Whatever you call it, it was nasty. “Thundersnow” was most rampant. “Snowmageddon” also appeared, but not quite warranted compared to last year’s blizzard. “Commute from hell” was likely most accurate. More snow photos to come soon. 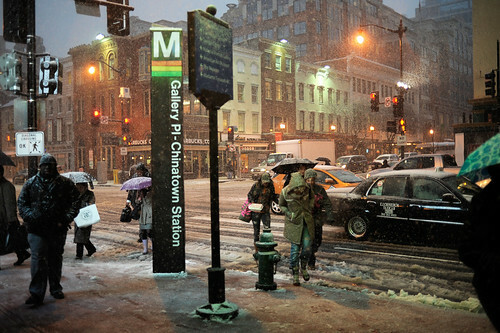 Cliché, I’m sure, but snow makes every gritty city look beautiful.